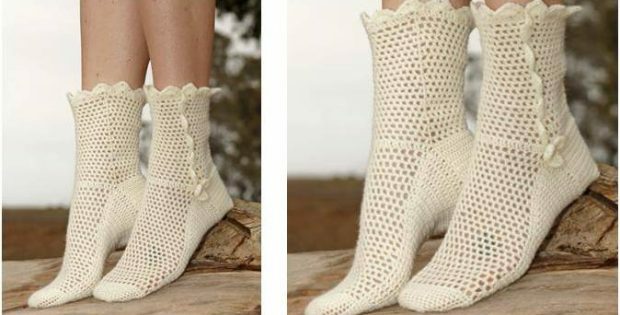 These Lisbeth crocheted lace socks will make any outfit elegant and stylish. They’ll be an instant favorite! In fact, this pattern is an ideal project for people with intermediate crochet skills. The pattern for these lovely lace socks includes instructions on how to make the socks in three different sizes. This lovely pattern is another wonderful creation by the amazing design team over at Drops Design. You can access the FREE pattern for these beautifully crafted Lisbeth lace socks from their website. To access the FREE pattern for this pair of lace socks, please click on this link: Lisbeth Pattern.